If you wanted a clear snapshot of the progress we’ve made—or rather, haven’t made—in patient data sharing and exchange, look no further than a new report from the American Hospital Association (AHA) and six other national hospital associations—America’s Essential Hospitals, Association of American Medical Colleges, Catholic Health Association of the United States, Children’s Hospital Association, Federation of American Hospitals and the National Association for Behavioral Healthcare. 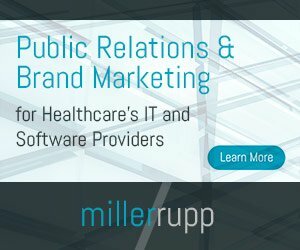 Urging all stakeholders to “unite in accelerating interoperability,” the report, released January 22, is a grass roots effort to get hospitals, EHR vendors, consumers, health information exchanges (HIEs), government and medical device companies to come to the table, play their respective roles, and make full interoperability a reality. The benefits of interoperability are obvious: better care coordination, improved patient safety and care quality, reduced costs, increased efficiencies and the conduit to population health. Interoperability is also increasingly a legal requirement and prerequisite for reimbursement. So why has healthcare’s goal of industry-wide interoperability remained so elusive? It’s pretty clear that the current path to data sharing is just not working as well as it could. As the associations’ note, universally agreed upon ways of sharing information — or “rules-of-the-road” — that make the secure transfer of patient data between diverse and often proprietary health record systems possible are lacking. EHR impediments. Many EHR systems make sharing data arduous, even in a single-system EMR environment. Since EHRs were originally designed to meet the regulatory requirements of Meaningful Use rather than to be interoperable, vendors and providers continue to play catch up—and it’s costing a fortune. Further, big name EHR systems are proprietary, so there’s less incentive to enable open data sharing. To make matters worse, these EHR vendors then charge providers to transmit and receive data from outside sources. Lack of standardization. Patient data is collected, formatted and stored differently by each EHR systems. The variability makes patient matching difficult and prone to error. There’s currently no obligation on the industry to standardize data. The Office of the National Coordinator for Health IT’s annual Interoperability Standards Advisory recommends a model that can be used by the industry to spur data sharing, but is not binding. Slow government support. It’s been several years since ONC made data sharing a priority, and two years since the 21st Century Cures Act called for more interoperability as well as punishment for conduct that prevents it, known as information blocking. But while there have been projects, task forces and pilots, the government tends to move slowly. ONC’s proposed rule on information blocking is stalled at the Office of Management and Budget, which has now missed its 90-day deadline to review it. Nearly a decade and $35 billion in taxpayer subsidies later, what have the American people gotten for their EHR investment? And that is just what CMS paid in incentives. Providers have invested hundreds of billions of additional dollars to adopt EHRs as well as tens of thousands of hours in time and resources to implement them. Yet, organizations still can’t fully share patient information. It’s disgraceful. In 2017 alone, hospitals and health systems invested more than $62 billion in EHR implementations. Last October, Trinity Health reported a $107.8 million impairment charge tied to its decision to move to a single Epic EHR and revenue cycle management system for its fiscal 2018. A four-year project expected to begin this year. In 2015, Boston-based Partners HealthCare invested a whopping $1.2 billion on an Epic EHR. The implementation took three years to build and cost double its original price tag of $600 million. Even the VA’s 10-year Cerner EHR implementation rose from its initial estimate of $10 to $16 billion as reported in March. In November, just six months into the project, another $350 million cost hike to account for staffing salaries. A single EHR approach is capital and labor intensive. It’s a massive financial undertaking that can take years to implement, as changes to internal processes and workflows are instituted — all while simultaneously keeping the lights on. Hospitals just can’t afford to spend this much time and money on something that doesn’t fully deliver. A 2019 Health IT Demand survey from Damo Consulting corroborates this problem. While innovations in advanced analytics and artificial intelligence (AI) are where healthcare executives would like to invest their budgets, EHR systems continue constrain IT spending. A best of breed software solution, where an enterprise master patient index (EMPI) is used to sync new and existing legacy applications, can provide fluid data exchange without sacrificing clinical workflow or the insurmountable cost and energy of a rip and replace. An EMPI creates a centralized and reliable index of an individual’s health data and enables vendor neutral cross-platform interoperability. As an enabler of connecting disparate systems, an EMPI platform can be especially useful for evolving delivery networks to map and reconcile patient health records seamlessly across the network whenever an acquisition occurs. Beyond removing duplicates and automating patient record matching, an EMPI enables access to patient data in a single location. An enterprise unique identifier (EUID) generated by an EMPI serves as a link to an individual’s record in any given system, streamlining clinical and administrative workflows for patient data access points like medication history, lab results and visit summaries. Let’s face it, interoperability cannot be solved by any one EHR vendor alone. In the meantime, a best of breed solution that leverages an EMPI is a smart, viable, cost competitive option for healthcare.